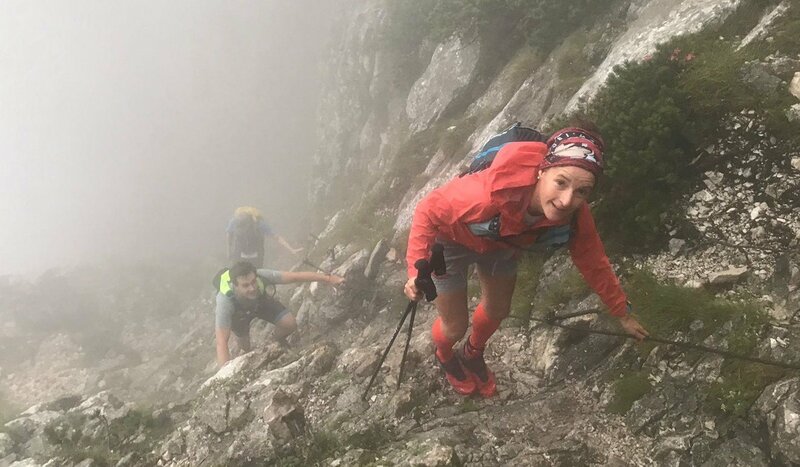 When Hong Kong residents Paul Niel and Esther Roling committed to running a 70 kilometre ultra-marathon around Lake Traunsee in Austria, the thought of climbing near-vertical cliffs didn’t enter their minds. But the sheer rock trails they encountered ensured a quick change of mindset for the pair, who were glad to be able to draw on years of rock climbing experience. 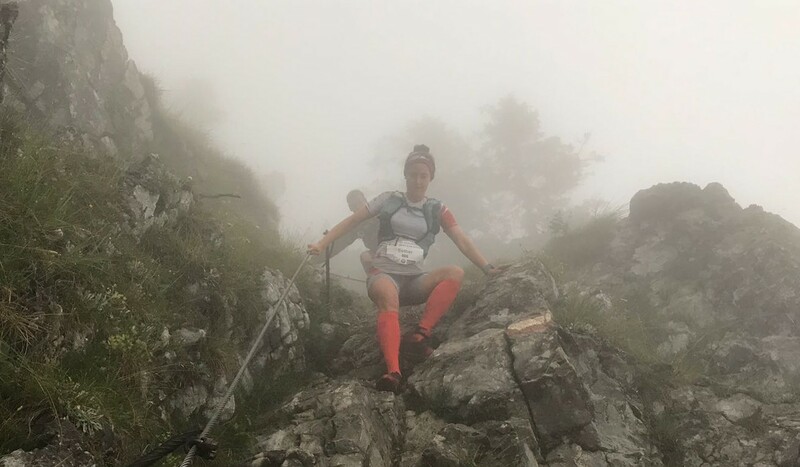 The pair scrambled up the rocks in wet and misty conditions and had to make use of the via ferrata – iron ladders nailed into the sides of cliffs. But fortunately, the couple have been rock climbing most of their life and even managed to “coasteer” all around Hong Kong Island using ropes and other specialist equipment. “It definitely helped knowing how to climb,” Niel said. But with wet conditions and steep slopes, Roling and Niel were more cautious going downhill and had to step tentatively to avoid a big fall. Roling added that in some ways the mist helped because it prevented them from seeing the drop below. 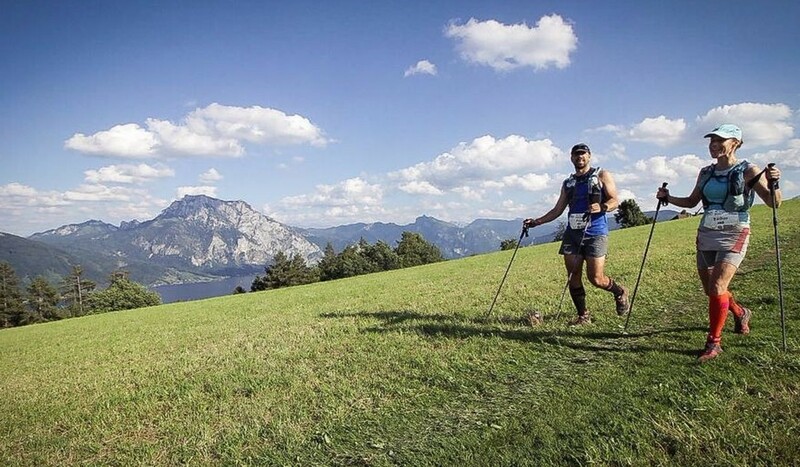 Just to add to the nerves of the huge drops, there was news that a runner had recently died on the trails in the area. But it cleared up later in the day and allowed them to look back over the spectacular scenery. “The character of the race is really interesting. It follows a lake, so you can look back on the route you’ve done and say ‘Wow, that’s what I’ve done, I was just on the top of that huge mountain’,” Niel said. Roling added that they were fortunate the weather cleared up.